UFFICIO is based in Letchworth, Herts and we are Specialists in Computer Workstation Ergonomics through the provision of Ergonomic Accessories, Ergonomic Seating, Desk & Office Furniture Systems, Height Adjustable Desking, and Specialised Office Chairs for Disability Applications. We provide office furniture in Letchworth, Stevenage, Hitchin, across Hertfordshire & The Home Counties and Greater London. We take great pride in the quality of service we provide our client and that helps them enjoy a better return on their investment; we do this through helping them choose the correct specification of products for their needs using our assessment and planning services; providing a professional delivery, installation and set up service; and our exemplary pre and after sales services are managed by a dedicated account manager who helps the congruency of the whole package. 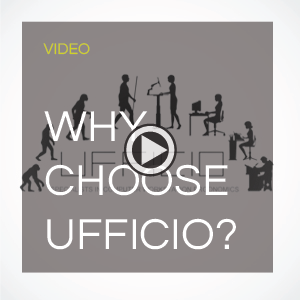 At Ufficio, you deal with people. We are not an e-commerce website. We provide you with an account manager assiting you with all items from assesment to installation and beyond to aftersales care and support. We aim to save your business time and provide you with the most efficient and cost effective use of your business furnishing budgets. Our DSE Assessment Services are designed not only to help our customers comply with legislation but also, in many instances, to enjoy increases in efficiency and productivity through the improved comfort and ergonomics enjoyed by their staff. We can also provide Health & Safety/Risk Assessments designed to help organisations fulfil their obligations, where applicable, to have a written Health & Safety Policy in situ.